Watches are one of the best Christmas presents you can get me. This past year or so I became a true lover of Daniel Wellington Watches. They are sleek, sophisticated, very elegant, classic and timeless. 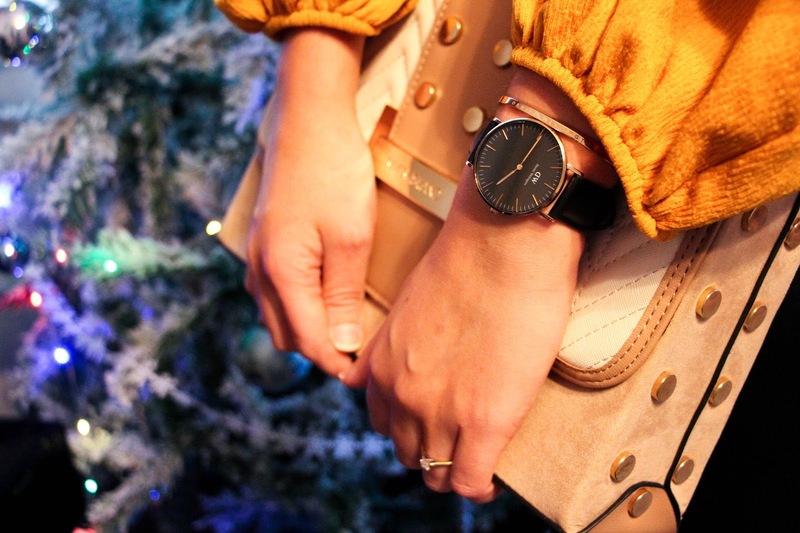 I can assure you I will never run out of words to describe how beautiful these watches are. I am very lucky to have two in my collection and I do believe that they are such a perfect Christmas gift. The packaging that they come in is absolutely stunning – a leathered brown box with “Daniel Wellington” engraved. Although these watches aren’t the cheapest, I do believe that they are such beautiful quality for a very affordable price depending on the style you go for. They have a massive variety of bracelets that you can buy to change your watch style once in a while and I think that that is such a great way of having many watches in only one whilst saving plenty of money. I own two DW watches – the Dapper Bristol 34MM , a beautiful deep brown leather strap paired with a rose gold case making in a very sophisticate and delicate watch. Not too big if you prefer small watches. I also have the Classic Black 36mm DW Watch that has a beautiful leather strap combined with also a rose gold case. This is my absolute favorite and i wear it non-stop, much more than the previous one. It is slightly bigger (and i think that it might be why I prefere it over the Dapper Bristol) but they are equally beautiful. 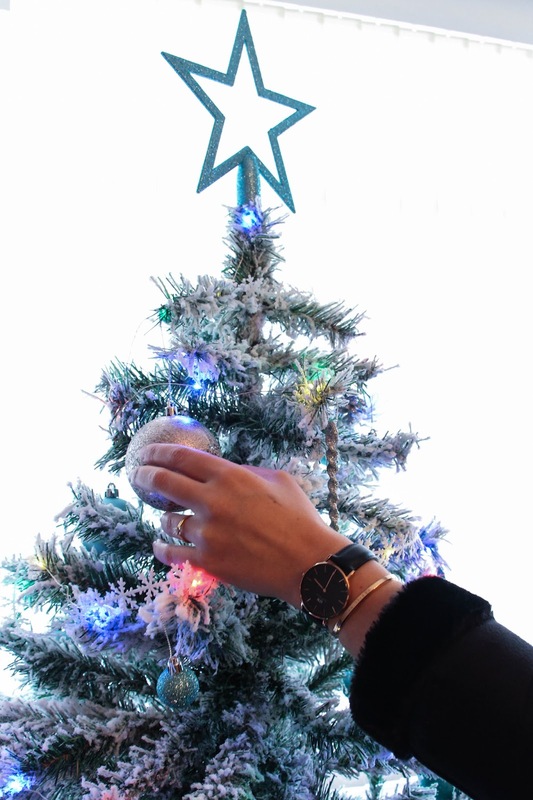 Although my fiancé isn’t the biggest fan of these watches for him, I do think that it can be also a perfect gift for your man if you know he likes these classic watches. My most recent addiction to my Daniel Wellington collection is a beautiful rose gold cuff with “Daniel Wellington” engraved. I think that adding this makes the perfect combination and also makes the watch stand out even more. They have it in rose gold and also silver and I am hopping to have both at some point but for that I would have to add a beautiful silver watch to my addiction. 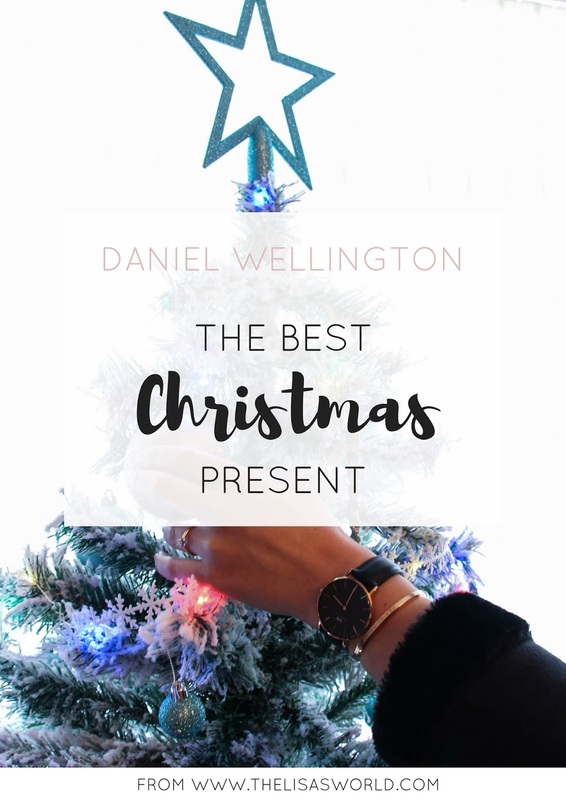 Because it is Christmas time, Daniel Wellington have some beautiful gift sets that you can either add to your Christmas wishlist or offer to someone. I think they are stunning and an absolute treat for whoever gets it. If I had to chose, I would go for the Bundle 4 Classic Petit 28mm that includes a beautiful silver watch and the silver cuff but the watch does seem a bit small for my taste and that was when I noticed that you can create your unique gift set and that makes it even better.